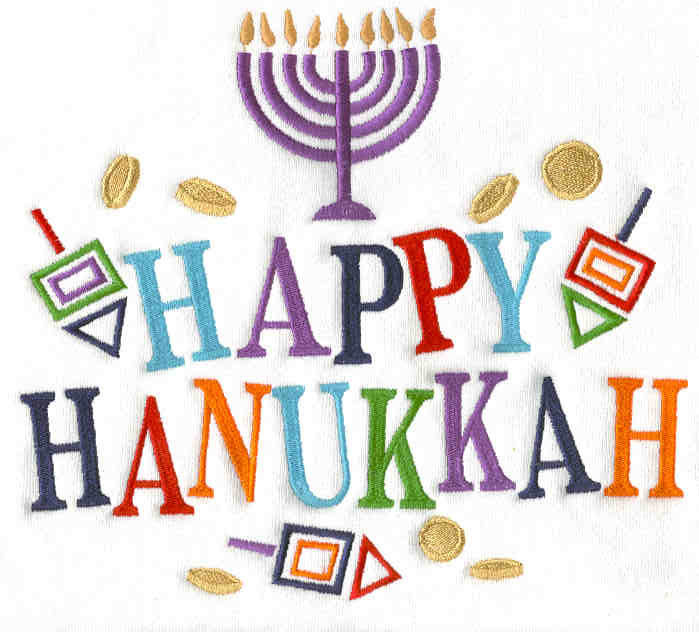 Hanukkah is here and it’s time to eat some latkes, spin the dreidel, and win some yummy vegan chocolate gelt! 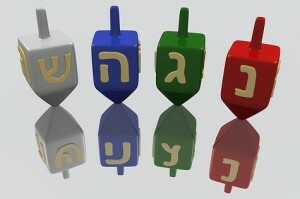 Although the dreidel game is usually played by children, dreidel parties can be really fun for adults, too. Who doesn’t like winning lots of chocolate coins??! 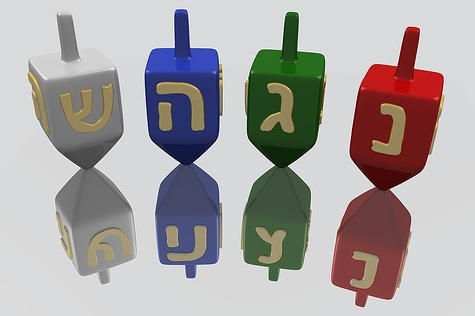 If you’ve forgotten the rules for playing spin the dreidel, here’s a great tutorial. If you’re wondering where to buy vegan Hanukkah gelt, I found a few online resources: Amazon and No Whey. 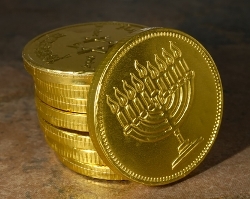 These two resources offer Kosher certified parve chocolate coins wrapped in gold or silver foil. YUM! It’s so tempting – it’s hard to save enough chocolate to actually play the game! If this is your first Hanukkah celebration as a vegan, not to worry, here’s a vegan latke recipe (egg-free) for you! 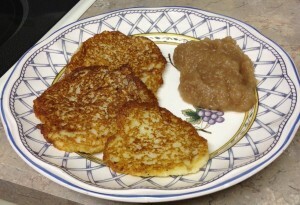 We also found an instant latke mix offered by Steit’s. 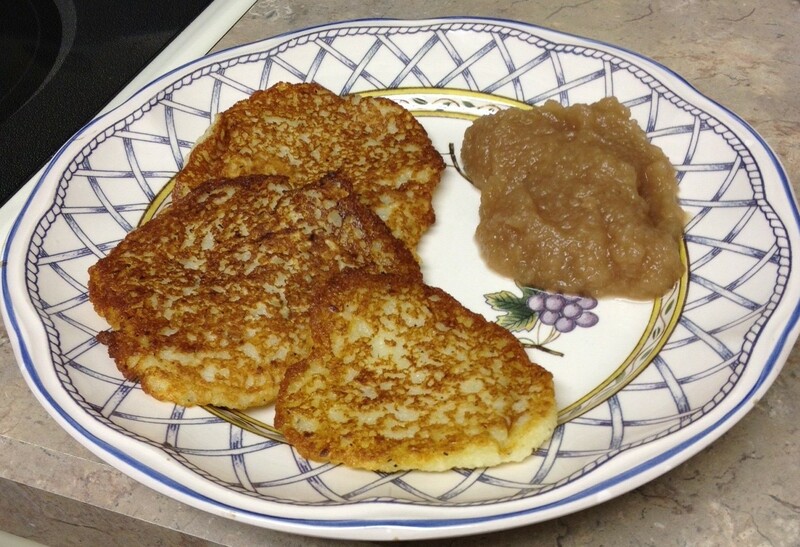 If you’re pressed for time, you can just add water and egg-replacer to the mix and fry the latkes up in a pan. Serve with apple sauce and enjoy!